Concordia Homes of Nevada closes sales offices and refunds deposits on new Las Vegas homes not started with construction. This development was announced this week. The home builder from Henderson, NV isn’t closing its doors due to bankruptcy or shutting down business but rather the current credit market and market demand. Concordia has been building homes since 1977 in Pahrump, Henderson, Las Vegas, Bullhead City and Avondale, AZ. They have been successful in providing reasonable priced homes. Both Engle Homes and Kimball Hill Homes have filed for bankruptcy in 2008. Builders have had to resort to deep discounts and incentives to move their inventory. This doesn’t help their bottom line and can’t afford the current real estate market. Several other homebuilders have also closed new home developments in the valley including KB Home, Pardee, Richmond American and Pulte. Year to date totals for new home sales have been over a 48 percent decline. The median new home price in Las Vegas is at a 24 percent decline from a year ago. 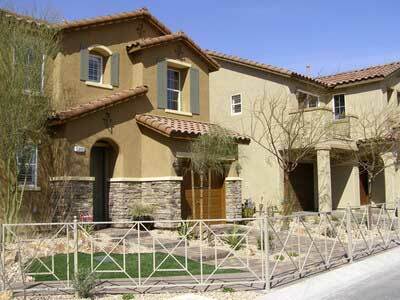 Concordia Homes of Nevada closes sales offices and refunds deposits.